According to a study cited by al-Akhbar (bottom of the page), the opposition received 54.5% of the popular vote, whereas the ruling coalition received 45.5%. I find it funny that the total adds up to 100%. As far as I know, we have not succumbed to the two-party system yet and there was a visible amount of votes cast for people not running on either lists, especially in Hizballah and Amal’s backyards. Now I am no professional, but here are the numbers I got when, instead of taking the voters as blocks of with or against, I added the total number of votes cast for the total number of candidates in three categories: opposition 50.4%, ruling coalition 46%, and other 3.6%. I only did the numbers once and I might have missed an affiliated independent or two, but not any with a considerable number of votes attached. (Original Post) The popular vote in Lebanon favored the opposition by roughly 15%, but due to the vagaries of Lebanon’s electoral system, March 14 won. Aoun will speak today. Syria and Hizbullah have conceded gracefully. The aggregate averages of voters in each district in Lebanon, shows that the ‘losers’ got 54.8% of the total votes (839,371 votes) and the ‘winners’ racked up 45.2% of the votes (692,285 votes). Nasrallah uttered one sentence that effectively left the door open for challenging the entire democratic process. The Hizbullah leader drew a distinction between what he called a “parliamentary majority” and a “popular majority,” thereby indicating that although the March 14 alliance won the elections, they failed to earn the loyalty of a majority of citizens. Nasrallah is right on this score: The numbers show that the opposition garnered over 100,000 more votes than March 14 did on election day. But the electoral law gave greater weight to votes in some districts than it did to those in others. This might make for a useful piece of ammunition in Hizbullah’s arsenal of arguments were it not for one thing: All of the parties, including Hizbullah, agreed to the rules of the game in advance. In fact, the law that was used to govern this year’s parliamentary elections was agreed to during negotiations that took place in Doha after the May 2008 clashes. Hizbullah, having demonstrated its superior military prowess during those street battles, could have tried to force a different electoral arrangement, but the party chose not to. There can be no turning back on that agreement now. Foreign policy experts and commentators have been trying to elucidate an “Obama doctrine” ever since the new US president took office. Lebanon’s surprise election result, in which a pro-western coalition narrowly triumphed, suggests these analysts have got things the wrong way round. Whatever the theory may be, the Beirut turnabout is the first, circumstantial evidence of a tangible “Obama effect” in the Middle East. It could be catching. It would be fanciful to claim that Obama’s bridge-building speech to the Muslim world in Cairo last week, attractive though it was, crucially influenced Lebanese voters. But the calmer, unconfrontational tone adopted by Washington on Middle East issues since George Bush trudged home to Texas appears to have struck a chord in a country that was teetering on the brink of sectarian civil war one year ago. Pre-election visits by Hillary Clinton, the US secretary of state, and Joe Biden, the US vice-president, underscored the importance that Obama attached to the poll. Some resented these interventions as unwarranted interference. But many Lebanese, particularly the nearly 40% of the population that is Christian, seem to have approved of Washington’s increased engagement; and to have heard its implicit message that a vote for Hezbollah and its allies would be a backwards step. That refrain was underscored by exaggerated claims that Hezbollah and its Tehran backers, if further empowered, would turn Lebanon into a second Gaza. And if that was not enough, an eve-of-poll demarche by Boutros Sfeir, spiritual leader of the country’s Maronite Christians, may have done the trick. He warned the country was in danger. It was clear from whom he believed the danger emanated. By giving the nod to Saad Hariri and his 14 March bloc of Sunni Muslim, Druze and Christian parties, which won 71 parliamentary seats against 57 for the opposition, Lebanon has provided Obama with his first significant regional policy success. The result is a setback for Iran, which has sought enhanced influence via Hezbollah. And it confirmed Lebanon’s 2005 rejection of Syria as the master manipulator of its affairs, confounding suggestions that Damascus was inching back. The results are also a boost for western-leaning Arab regimes, such as Egypt and Saudi Arabia, that helped prevent Lebanon falling into the abyss after the assassination of Hariri’s father, the former prime minister Rafiq Hariri, and the subsequent, disastrous Hezbollah-Israel war of 2006. Saudi Arabia’s rapprochement with Syria, and a parallel warming of ties between Syria and the US, will be all the easier to pursue as a result of Sunday’s election. Since the Obama Administration came into office in January, it has approached the Syrian regime with a certain coolness and caution. … Today, the U.S. sees Syria as promoter and supporter of terrorism, host of the leaderships of Hamas, Hezbollah, and Islamic Jihad. In brief, the prospects of coming off the official terrorist list in the near future are nil. Syria has covertly tried to develop supplies for if not its own nuclear weaponry, accused again by the IAEA of such activity this weekend. Syria, according to American forces, continues to support anti-American violence in Iraq and thus a delegation of military officials to discuss joint efforts to shut off Arab and other insurgents operations inside Iraq is a necessity. Friction between Syria and Lebanon is an ongoing concern, and the election results will not ease the strain in American and Saudi views of Syrian activity and influence inside Lebanon’s body politique. Achieving respectful behavior toward Beirut is a problem on which the Americans remain greatly concerned and focused. Syria Declares Emergency For Drought-hit Northeast: Authorities “have begun to distribute food aid in the worst drought-affected regions in the northeast” as part of a series of emergency steps. “Nearly 5,200 food rations have been distributed in Al-Hasakah and 15,000 more rations will arrive in the next few days,” said provincial governor Najib Salloum. He added that each food ration comprised 150 kilograms of flour, 25kg sugar, 25kg semolina, 10kg lentils, 2kg animal fat, 1kg tea, and 1kg oil, distributed to the worst-affected families. The popular vote does not hold the same meaning as it does in the US presidential elections. The numbers has to do with the turnout in each district, which in turn related to the confessional make up of this district. If there is no battle, the minority in a district does not show up to vote. More turnout does not hold any significance. Syria Comment has been loosing it. some respect for our intelligence is needed. Majhool, even the Daily Star’s pro M14 editorial conceded this – the Opposition won the popular vote. Your argument doesn’t hold water because there are more “safe” seats for the Opposition than for M14, so by that reckoning, if everyone had turned out to vote in every seat, the Opposition vote would have been EVEN higher!! Habibi, Daily Star is not the Bible. Why don’t you quote the Israelis? Assumed that all those that elected Omar Karami, did not elect anyone else in the list. 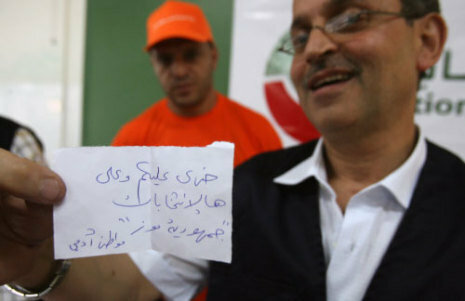 Reality is voters in Tripoli who elected karami replaced Ahmad karami in the March 14 list. All said, the system is based on 50% Muslims, 50 % Chrsitains in terms of seats with fixed number of seats for each sect. SC has been a champion of minorities and regularly highlight the exodus of Christians from the middle east. If you push the popular vote, although it really does not mean anything here, you are advocating for running the Christians over due to their dwindling numbers. Yes Majhool, pursuant to what Sasa had just said, look at the votes in Tyre and Bint Jebail; in both places the opposition didn’t need to turn up in earnest to vote. So your argument works but perversly. I’m glad to see that As’ad AbuKhalil has paddled back from conspiracy la-la land and now believes that the opposition was merely overly optimistic (at least he should notice that you can’t be both overly optimistic and have a desire to lose). U.S. Assistant Secretary of State for Near Eastern Affairs Jeffery Feltman said Hizbullah should be disarmed and become a political party that functions in accordance with the Lebanese constitution. Feltman, in an interview with Alhurra Arabic language satellite TV network, said that Hizbullah should abide by U.N. Security Council resolutions that call for the disarming of all Lebanese and non-Lebanese militias. Feltman reiterated that the U.S. does not and will not deal with Hizbullah. He said Washington does not deal with a party that threatened its people through the use of arms in May 2008. He told Alhurra that the U.S. looks forward to cooperate with the new Lebanese government and its people in order to strengthen its institutions, independence and sovereignty. On U.S. aid to Lebanon, the top official reiterated that assistance depends on the moves the new government will make. Asked about possible cabinet ministers, Feltman said that it is up to the Lebanese people to decide the formation of the cabinet. “A high-ranking State Department source” “said the U.S. and Lebanon’s friends were not comfortable with the experience of veto power in the government because many issues were frozen in the previous period. A high-ranking State Department source also told pan-Arab daily Asharq al-Awsat that it would be easier to cooperate with a Lebanese foreign minister who is not allied with Hizbullah. Lebanese Forces leader Samir Geagea reiterated his opposition Tuesday to giving the minority veto power in government warning it could lead to the “complete paralysis” of the country. “I support awarding veto power to the president of the republic because he is neutral and was elected through consensus,” Geagea said following talks with U.S. Ambassador to Lebanon Michele Sison in Maarab. Regarding Iran, as I said, I hope that Anybody But Ahmadinejad wins, but there are still some problems. T desco ,may i ask you, did you mention the word “civil war”before these last elections ? I don’t really understand where that 15% figure is coming from. Even with the Friday Lunch Club numbers, I don’t see it. These numbers look more convincing to me. it seems like the 15% is a type-o??? best case analysis is pointing to a 9% difference. Majhool, i think you bring an important point on how some minorities in some district don’t show up to vote but that is true for both sides. And popular vote IS important because technically and in an ideal world it is the most democratic form of elections. Which is why the American system is not very democratic (since Electoral College reps can actually vote their conscience and not what their population voted for). I’m not sure that I’m getting the gist of your question, but I had thought that the reference was self-evident. HA came back to the same habit again: turning defeat to victory, Turning a shameful day to gloriuos one and finally, turning the defeat in election to win. did they lose contact with reality? The 14th March victory does not change much as the divisions are irreconcilable. Hezbollah will never agree to the truce with Israel that March 14 seeks as long as Israel continues to violate Lebanon’s territorial sovereignty at will and the Shebaa Farms issues goes unsettled. Hezbollah lost 3 seats but can count on its allies to provide a counterweight to March 14. In other words, the usual stalemate. Reading the table indicate that there are approximately 110,000 plus votes for the opposition in two uncontested districts. So basically when there was a competition, the opposition fared with less than the 9% margin. Generally, most post election lesson learned exercises posted by opposition friendly outlets point to the failure to act as a single solid block as being one of the primary causes of the loss. This failure heart Aoun’s candidates more than others since they were running in a hotly contested districts. At the same time, it seems that the opposition played a more civilized game than the M14 block as evidenced by al-Murr mafioso style phone call. An important document is the preliminary report issued by the EU commission, which as described by the seemingly very competent minister of interior pointed that the system is far from perfect. Election campaigning took place in a generally peaceful environment, despite some isolated incidents, and freedom of movement and assembly were generally respected. Limited competition in the majority of constituencies meant that campaigning activities focused on those constituencies which would effectively determine parliament’s majority. Financial resources played an excessively large role in the campaign and new regulations on spending have yet to have any notable effect on this phenomenon. The provision of welfare services by permanent foundations and networks affiliated to different political groups undoubtedly played a significant role in achieving electoral support. Campaign messages rarely focused on proposed social or economic programmes and the effects of the electoral system and of financial resources significantly outweighed any debate on political platforms. That is a good start dear Dr. Please continue adding addendums to your posts because you are still wrong. You also haven’t gone far enough in your disclosure. The last comment by Abbas (comment 10) explains exactly where you keep stumbling upon. You interlocute to western ears the agendas of the Syrian regime and its cronies in the, area in order to legitimize them and therefore you can never be taken as an objective speaker. Let me explain. As Abbas said above, this is yet another attempt to turn clear defeat into ’victory’. How else can we survive with the divine promise not getting fulfilled? I don’t believe I ever asked you for an advice. Neither will I ever will. Besides I never advise you on how to write. So what’s your point exactly? I’m all ears. If You have no point, then find another topic to talk about. In Lebanon, it seems nothing basically changed,things will stay the same,except Saad Hariri may become PM,next year news will be Iraq,palastine and Egypt.Syria will not change its policy toward Lebanon,internally there will not be democratization,the economy will get worse. I was the reader who mentioned the estimated 15% figure in the comments section (based on t-desco’s link above). Which means that if the “winners” managed to increase their votes by 21% .. they would get the same number of votes that the “losers” got. To put these numbers in perspective, look at the controversy of the 2000 presidential elections in the United States … Many democrats were furious because Gore got about 1% more of the popular vote than George Bush yet he lost the election. 9%, 15%, or even 40% it does not matter. unless you weight M14/M8 votes in each ballot, stats will continue to be guesses. Shias numbers are def highers than other sects when it comes to those residing in Lebanon. Unless you increase the numbers of seats allocated for shias or spread them out in large numbers accross the country, nothing will change. Still, once you advocate for such a thing, voices will heard advocating allowing expats to vote abroad. Millions of christains close to the west would tilt the equation again. Short of another civil war, that’s not going to happen. I guess i forgot to include the 🙂 sign. As for my point, i made it in an earlier comment. Biggest winner (Mr. Baroud) . Popular vs Electoral is not easy (meaning that I tend to agree with you) not because of your comment, but more because of Majhool’s analysis *comment 3. I am more concerned with regional inequities than with sectarian inequities. My calculations show that South Lebanon is at least 5 seats short. But at each district, the numbers varry. Akkar for example is 1.97 seats short. Yes my friend, shia RESIDENTS are under represented in terms of seats in the parliment. One has to be careful though becasue the numbers would be up side down if you count expats. I am very concerned as you are, especially when it comes to Syria. It has been 50 years since the syrian people lost their vote. It has been 9 years since Bashar Assad came to power, and yet no elections or political parties are allowed. Alex uesed to say 2 years ago, ” just wait fro one more year”! Thanks OTW for the clarifications. But I have an issue still with the causes of loss and winning in this contest the way you put them in your last comment. How about if we seek a third opinion? Baroud of course is the big winner. You got that right on. Awn is the biggest loser I may add. There is also a more exhaustive list showing the voters breakdown in each district. But it would be a mile long to paste, and I don’t have a link for it. You could be right. I used one of M 8 websites to add up all eligeble voters across lebanon and it was arround 80, 000 more shia’s. Either way, what I am pushing is: “Does it really matter?” giving the millions of expats that could be thrown into the equation? You are right on in many issues. I went that path once but was ganged up on and was blocked many times. I am trying to keep cool, especially that i ENJOY Alex’s work in Creative Syria. Culture, and civil society matters to be the most at this point. I must say that I am getting more concerned by the day. Sadly, one of my favorite songs is If tomorrow never comes, but in this context tomorrow never coming is not at all romantic. Might you provide a link to the Arabic source you’re using for this data?